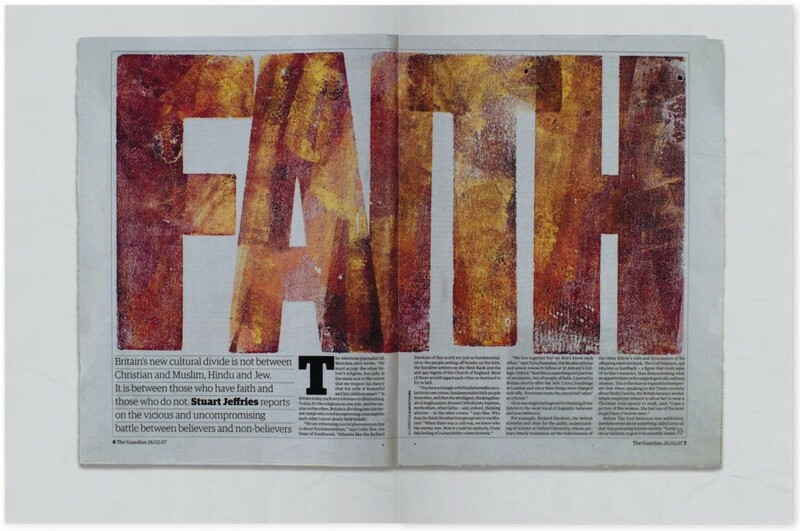 'The catalogue includes the work for the major mural in the old Guardian office on Clerkenwell Road, using the words and phrases from the paper’s founding prospectus of 1821. Another work featured is the 2003 protest banner ‘Why Iraq? Why now?’. Conceived as a full-page advertisement in the newspaper, it was designed to be cut-out and used as a banner for supporters of the anti-War rally. 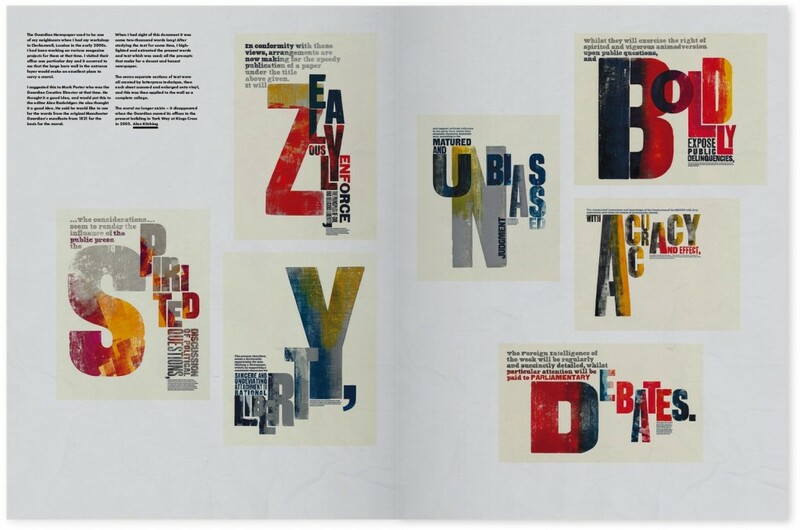 Contributors to the catalogue include texts from Alan Rushbridger (Editor in Chief at The Guardian), Mark Porter (ex-Creative Director at The Guardian) and John L Walters (Eye magazine). 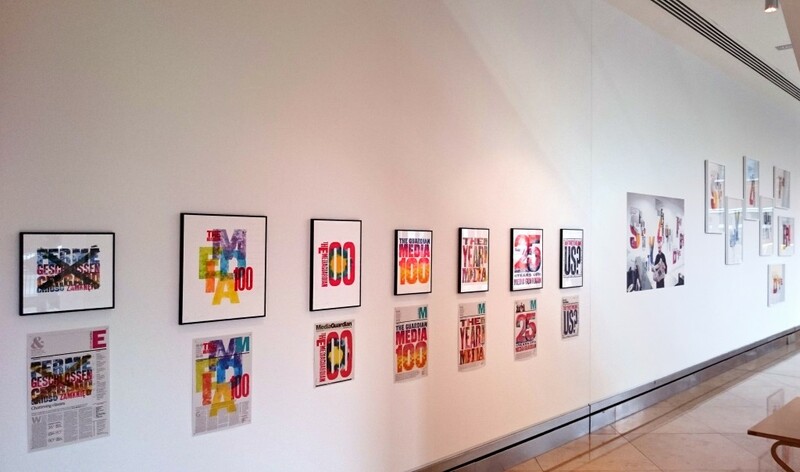 The exhibition was set to end in February but has been extended until 5 March -- just two more days to catch it! 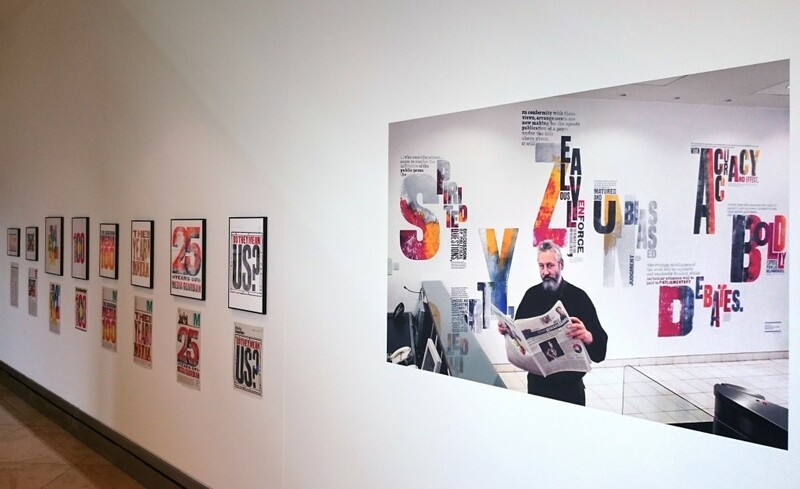 ‘Alan Kitching on Press at the Guardian’ is on display in the foyer of The Guardian, 90 York Way, London N1 9GU. Open daily 10am - 6pm, admission free.